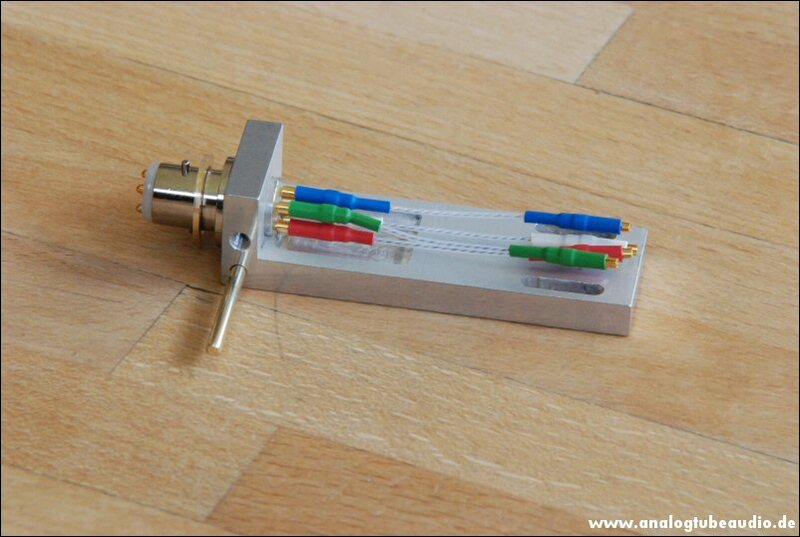 That´s a new headshell prototype made from aluminium-titanium-alloy. 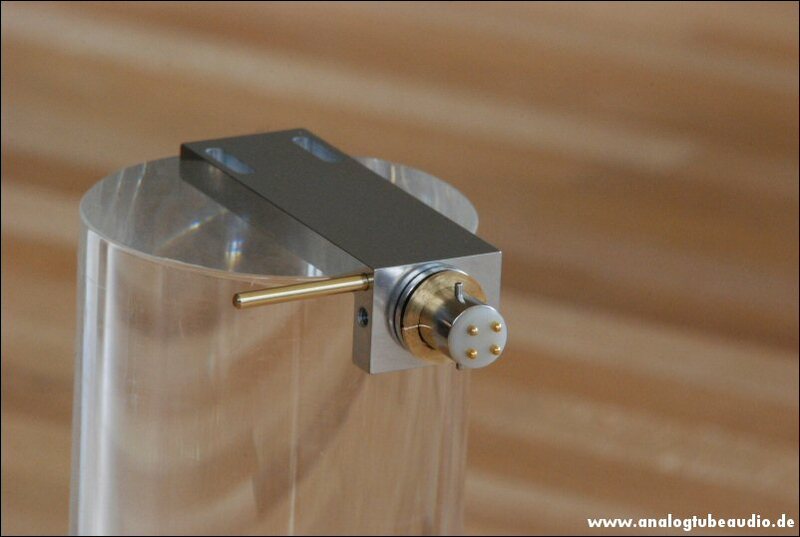 The weight of these solid headshell is with 16,2 grams a little bit higher, but just right for the SME 3009/3012 tonearms. 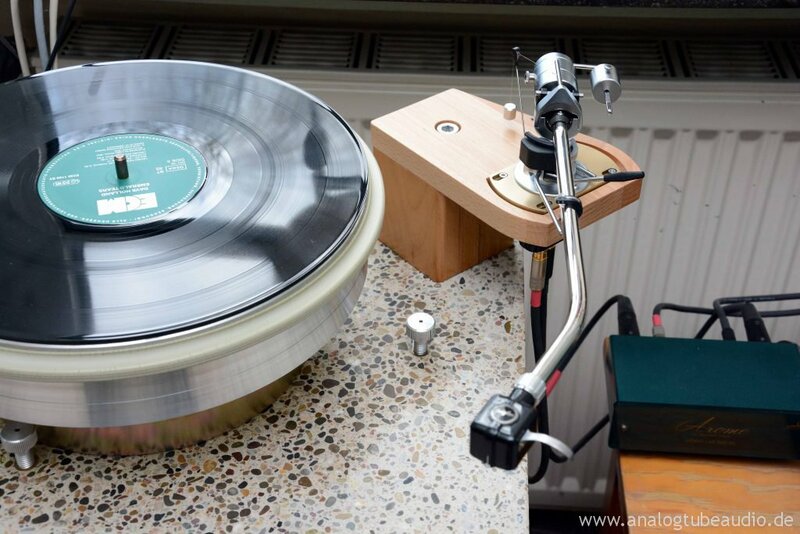 It has a flat geometry matched to install flat cartridges like a Denon DL103. 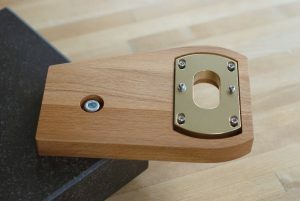 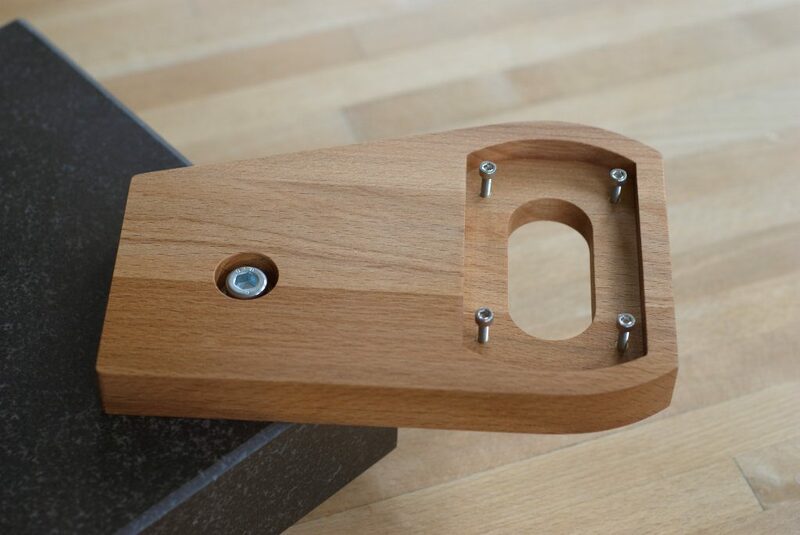 After ten years we redesigned the armboard for the Platine Verdier turntables, here is the result. 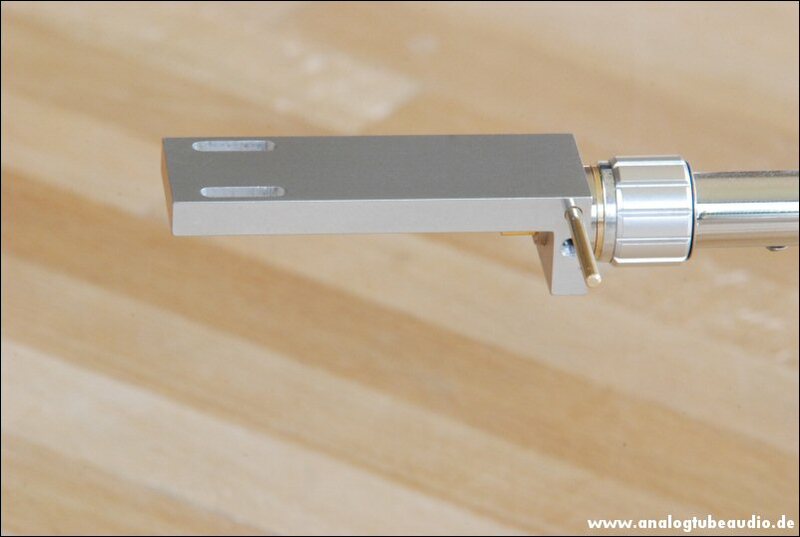 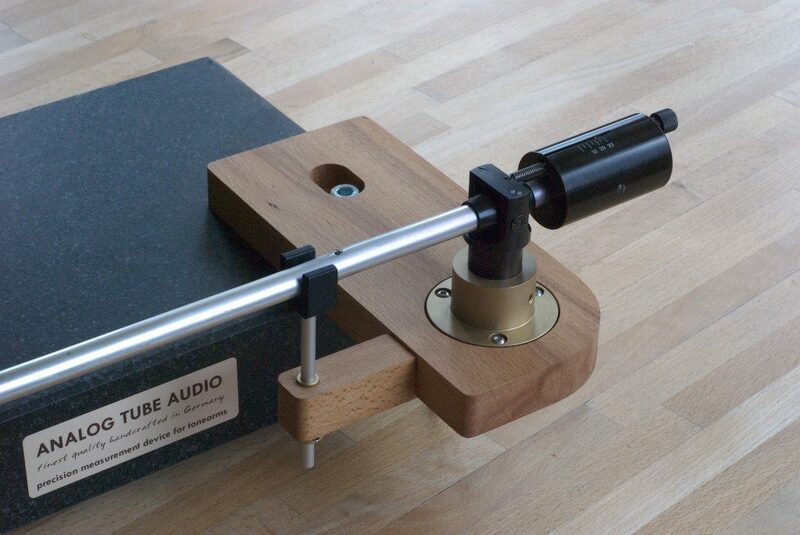 These armboard Mk3 for SME tonearms works only with the bronze groundplate standard in conjunction with an SME 3009, SME 3010, SME 3012, as well as all SME M2 tonearms.